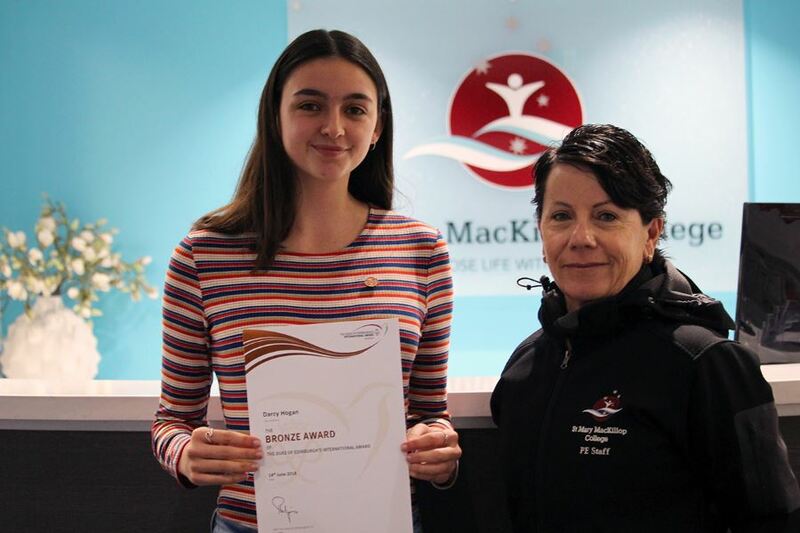 The College was proud to present 2017 MacKillop graduate Darcy Hogan with a Bronze Award in the Duke of Edinburgh’s International Award scheme recently. Darcy completed her program while at the College in Year 12, and was the first of our students to earn this award. The Duke of Edinburgh is designed to challenge young people to find their purpose, passion and place in the world. Students work on developing transferable skills, increasing their physical fitness, cultivating a sense of adventure and volunteering in the community. Participants develop their own program within the Award framework, with the support of adult volunteers such as Sports Administration Assistant, Ms Sandra Smith, who is the Award Leader at the College. Darcy completed the four sections over two years at the College. She spent an hour a week over three months volunteering with her church and with St Vincent de Paul, improving her fitness playing soccer and building on her skills in speaking Italian. She also embarked on a two day, overnight adventurous journey along the Cape to Cape Trail to complete her Bronze Award and earn her badge and certificate. Darcy encourages other students at the College to take on the Duke of Edinburgh challenge, and says that most of what is required can be completed at school. Sandra Smith agrees. 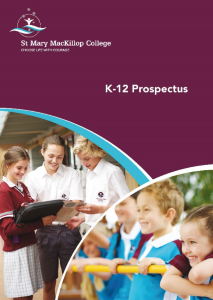 “Students can start from the age of 14, and earn Bronze, Silver or Gold level awards all the way up to age 25, during their university studies and through other organisations”. The Duke of Edinburgh Awards are internationally recognised and provide students with a credible record of employability in areas such as volunteer work, communication skills, teamwork and problem solving. It is also an Endorsed program with SCASA, earning units towards achieving WACE on completion of each Award. Ms Smith says students interested in completing a Duke of Edinburgh Award through the school should contact her for more details, or visit the Awards WA website.